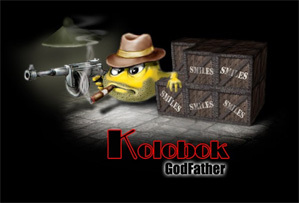 Figure on a desktop of your computer on which there is "Godfather Koloboks". The image is drawn under my request Fool (http://www.foolstown.com). I the floor of day has worked in eighth Photoshop, look that has turned out. Render time: 0.1056 sec, 0.0226 of that for queries. DB queries: 20.